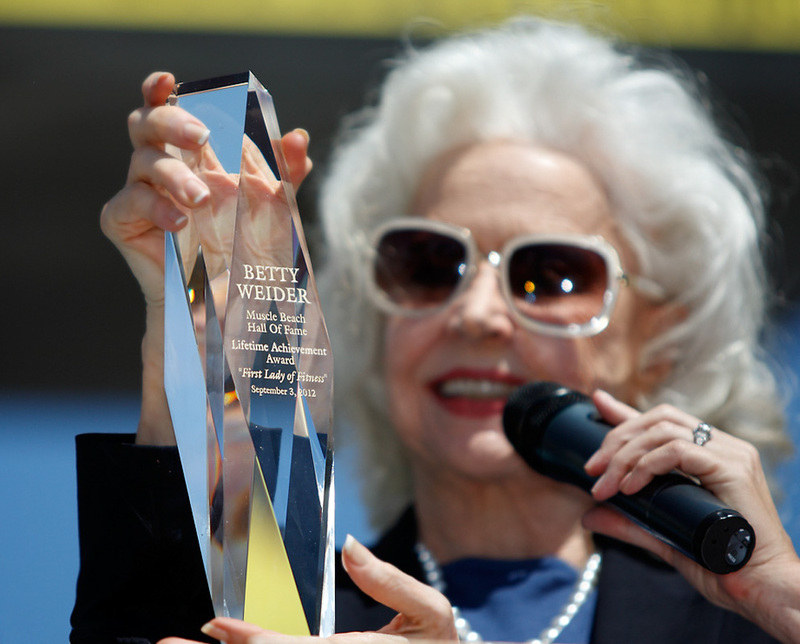 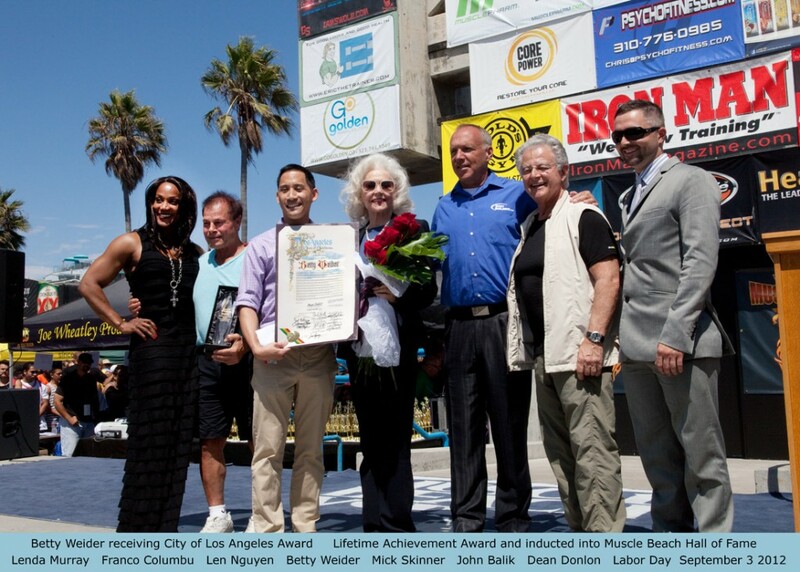 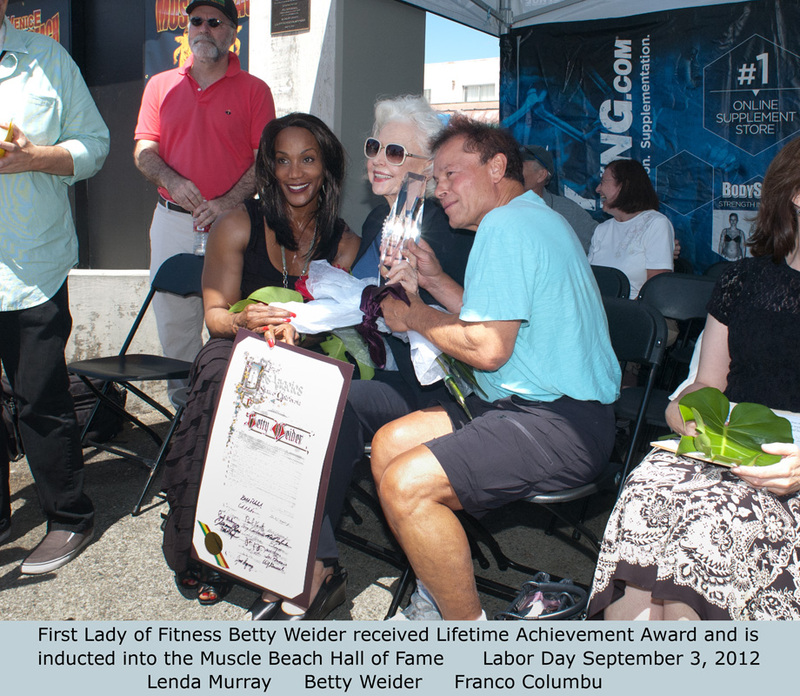 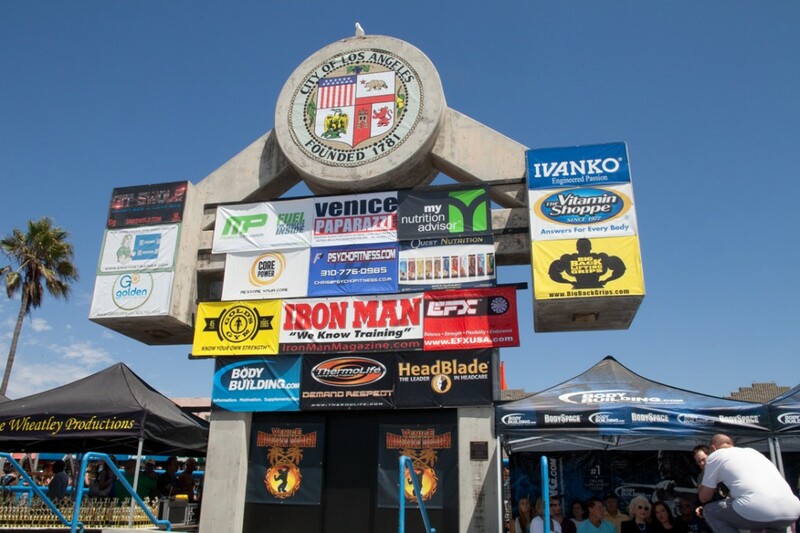 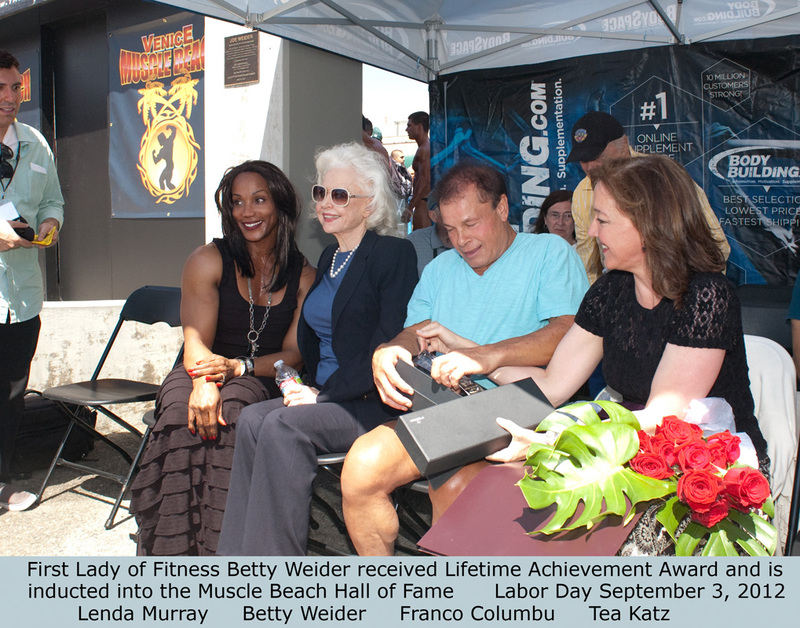 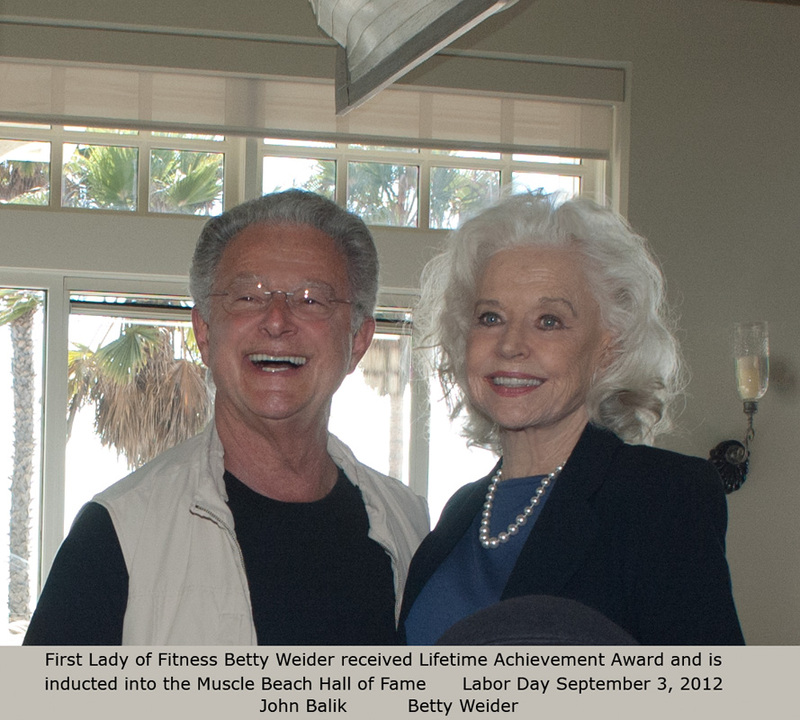 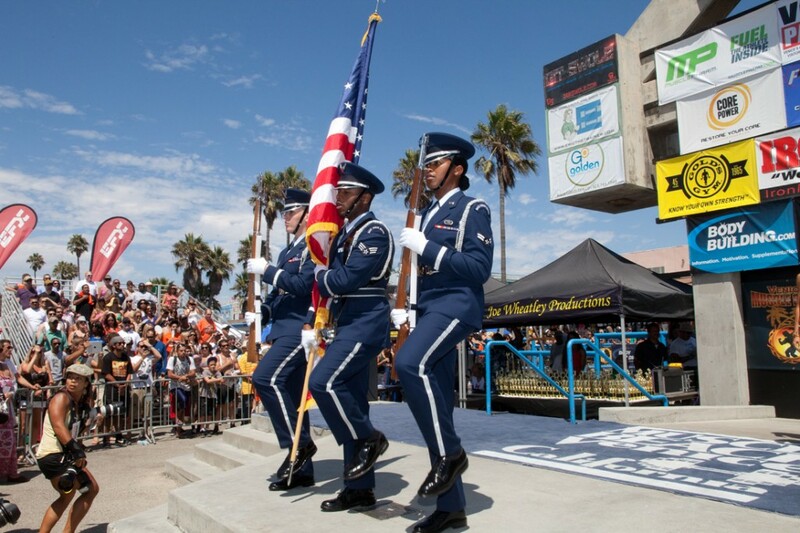 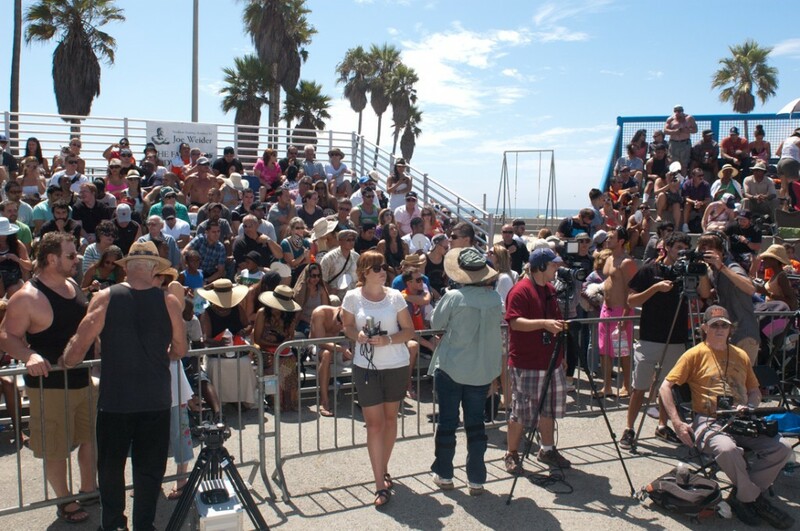 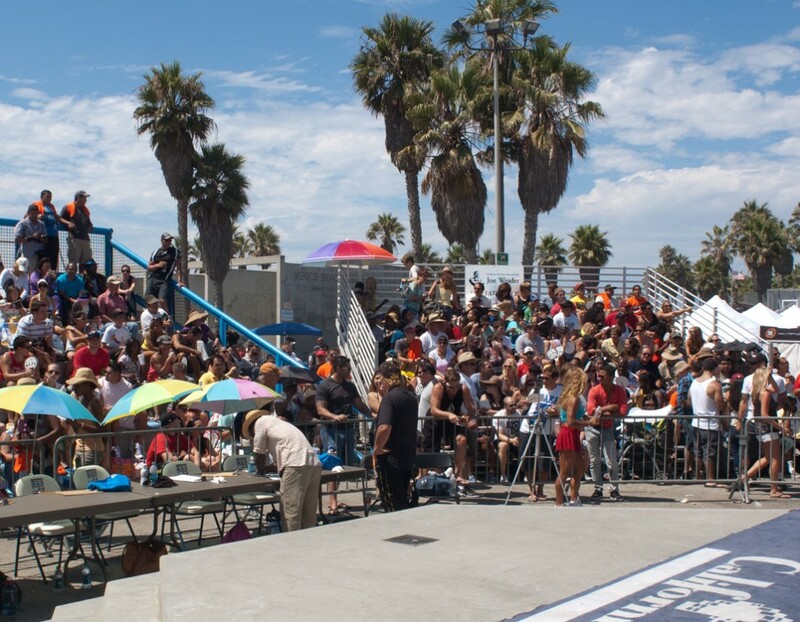 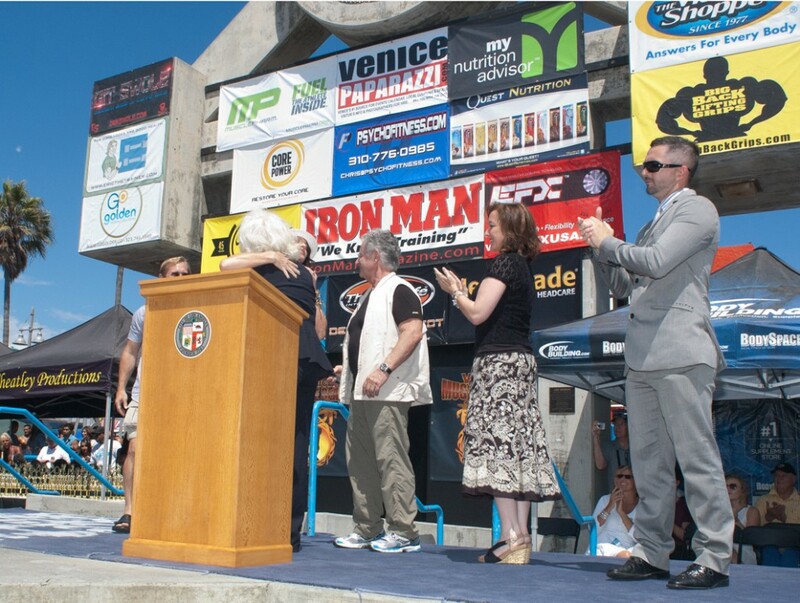 Muscle Beach honored Betty Weider with a Lifetime Achievement Award and inducted her into its Hall of Fame on Labor Day, September 3, 2012. 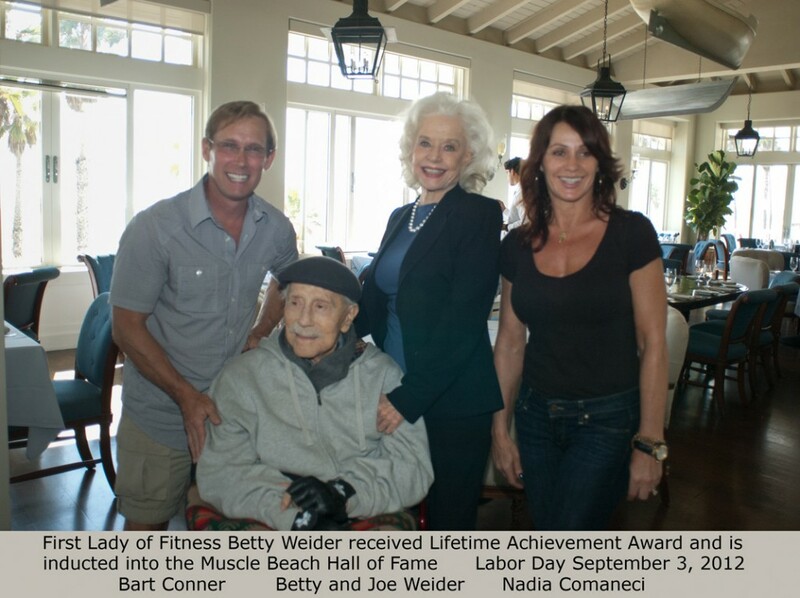 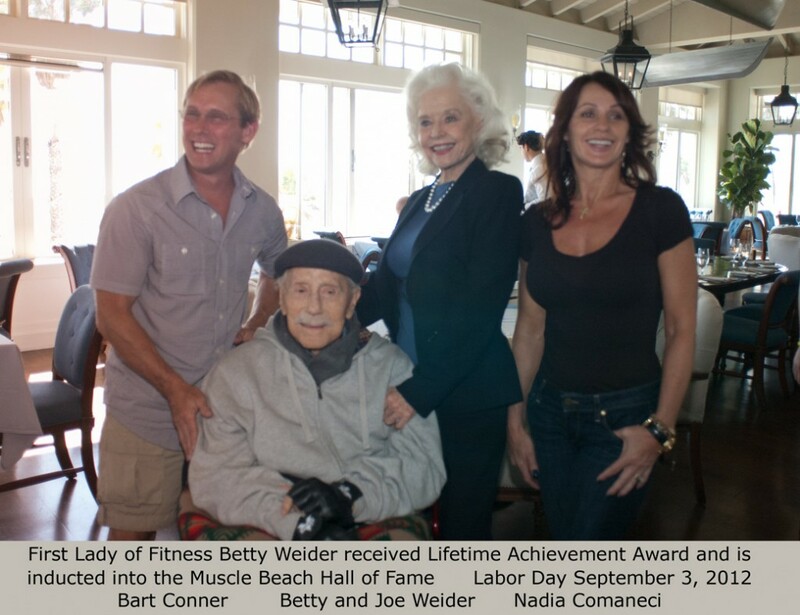 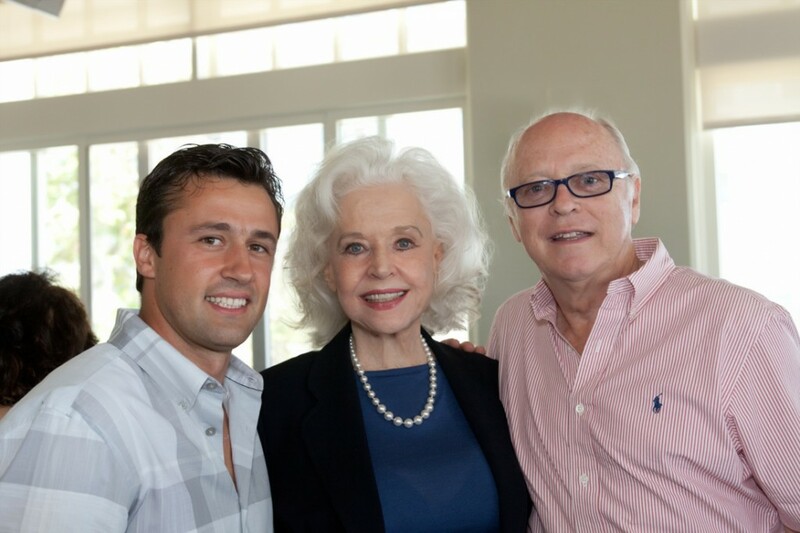 Joe Wheatley, the Master of Ceremonies and organizer of the event, made it clear that Betty was only the third person to be given the Lifetime Achievement Award — previously awarded to her husband Joe Weider, and Jack LaLanne. 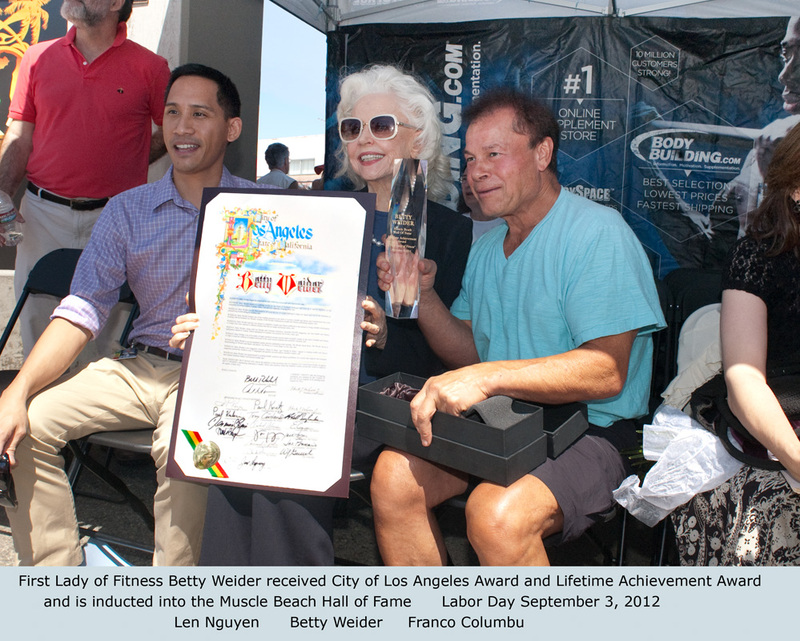 The Los Angeles City Council also presented Betty with a special proclamation honoring her contributions. 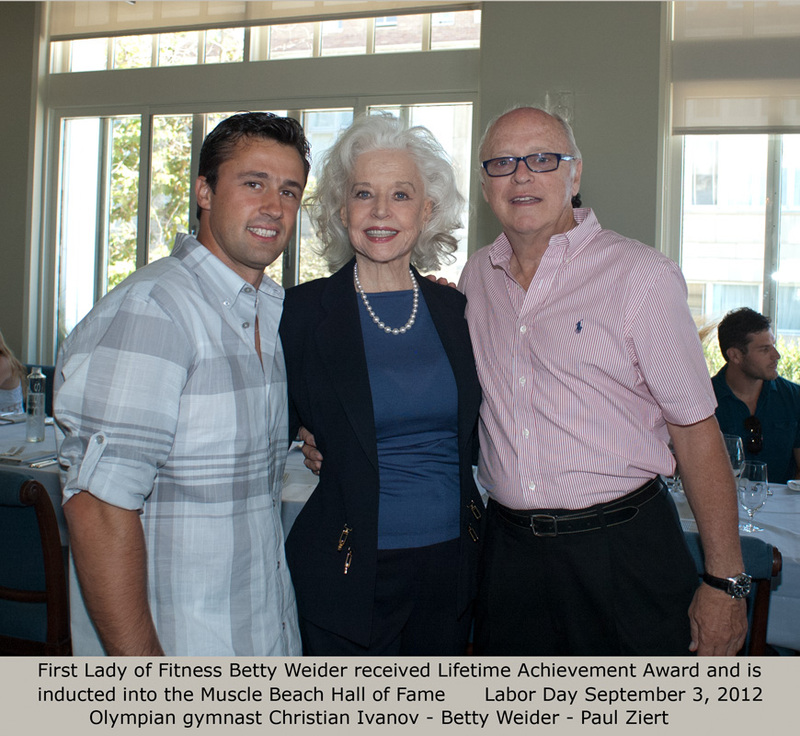 In her speech, Betty shared stories about the creation of Shape Magazine and its first editor, Christine MacIntyre. 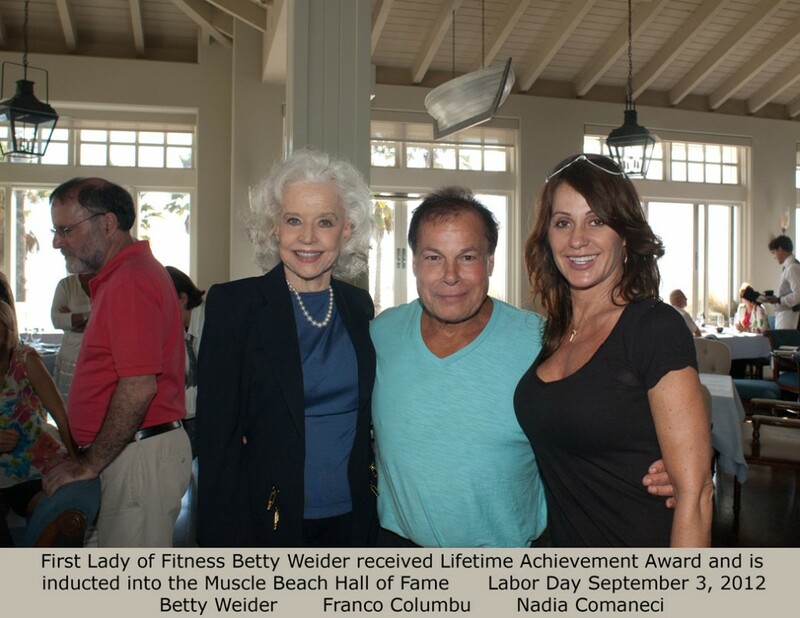 Flanked by friends and family – Thresa Katz, Lou and Carla Ferrigno, Bart Connor and Nadia Comaneci, Franco and Debbie Columbu and many others, Betty was recognized for her enduring contribution to women’s health and fitness. 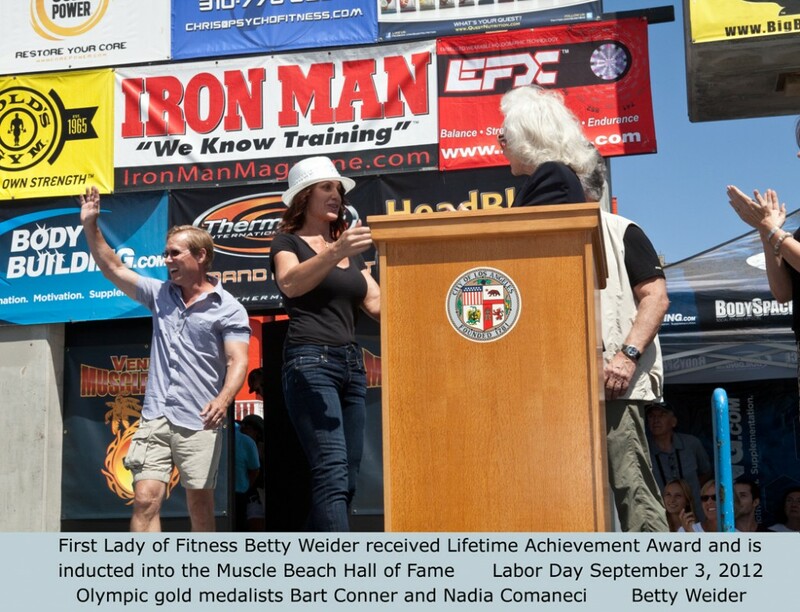 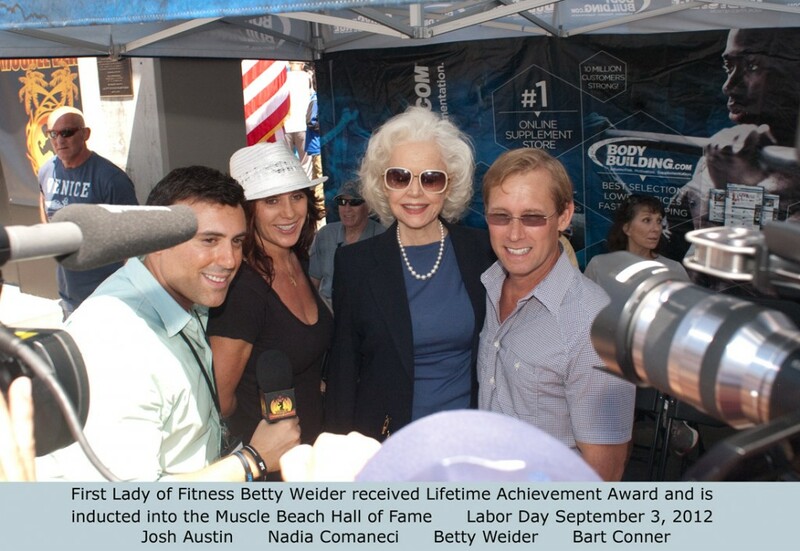 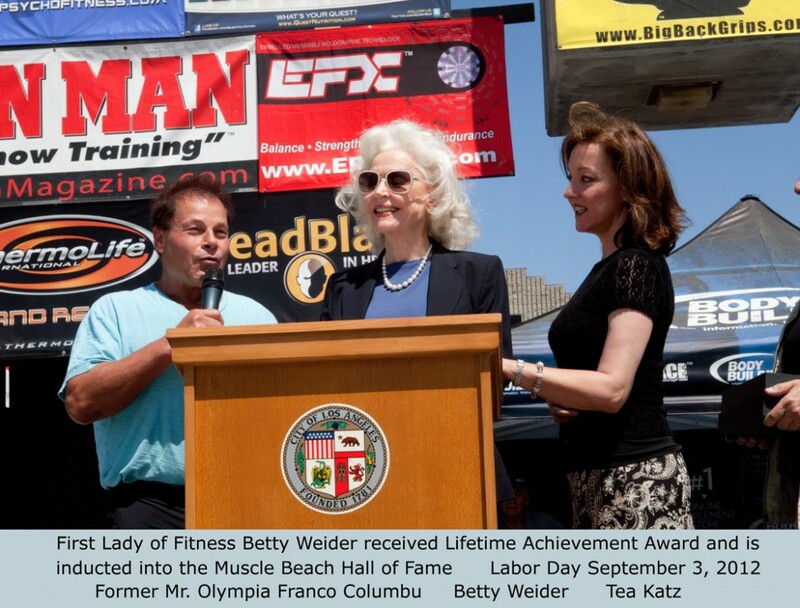 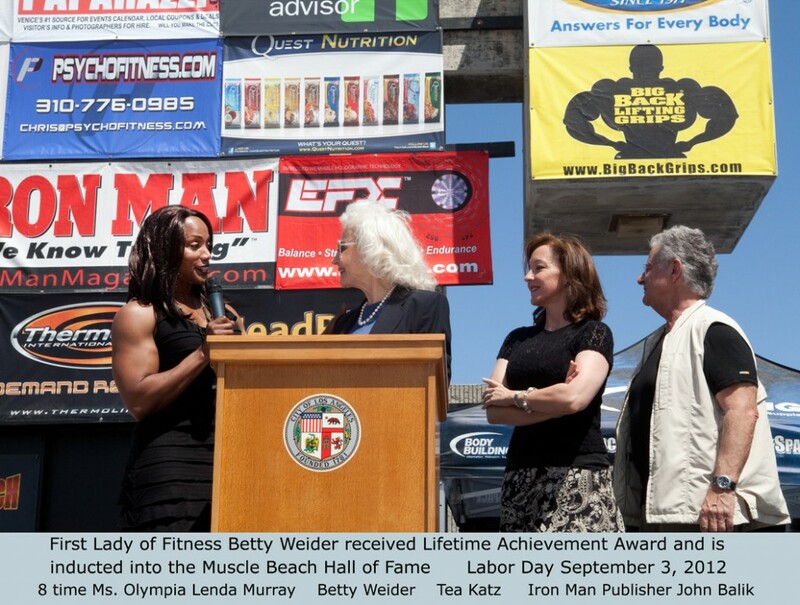 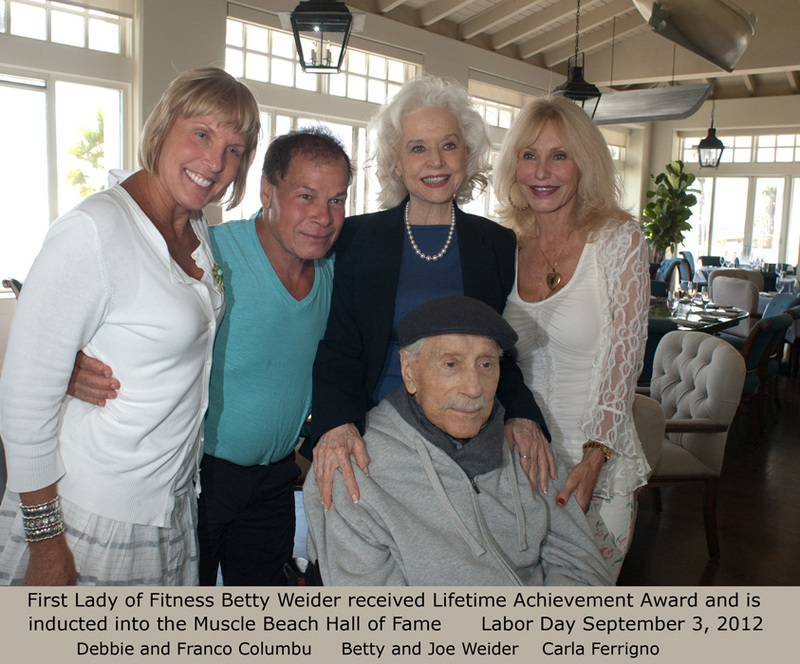 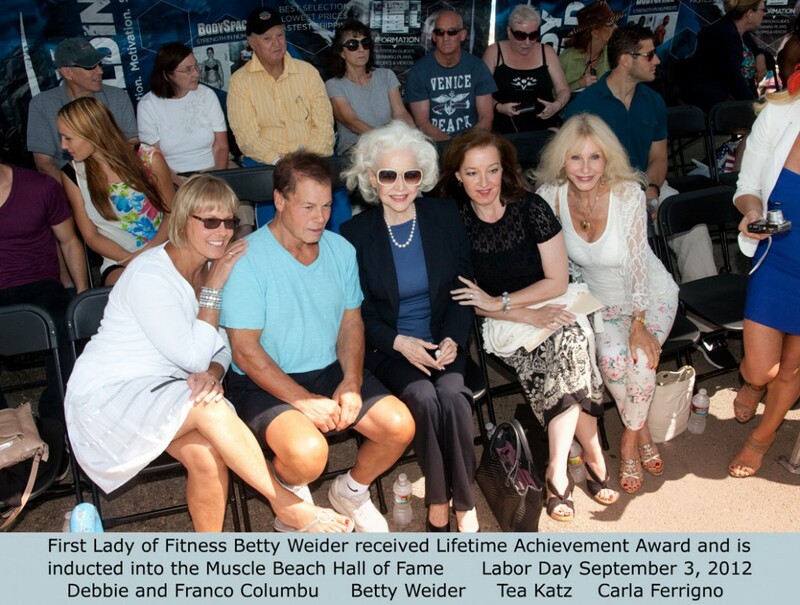 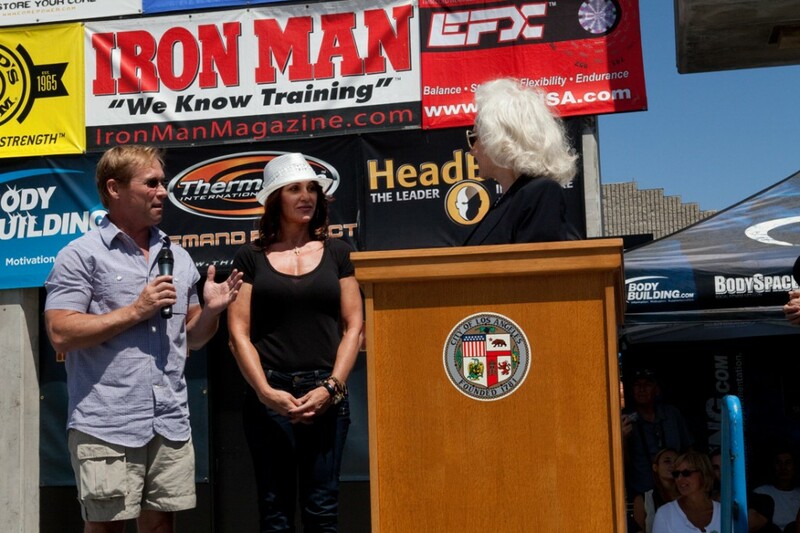 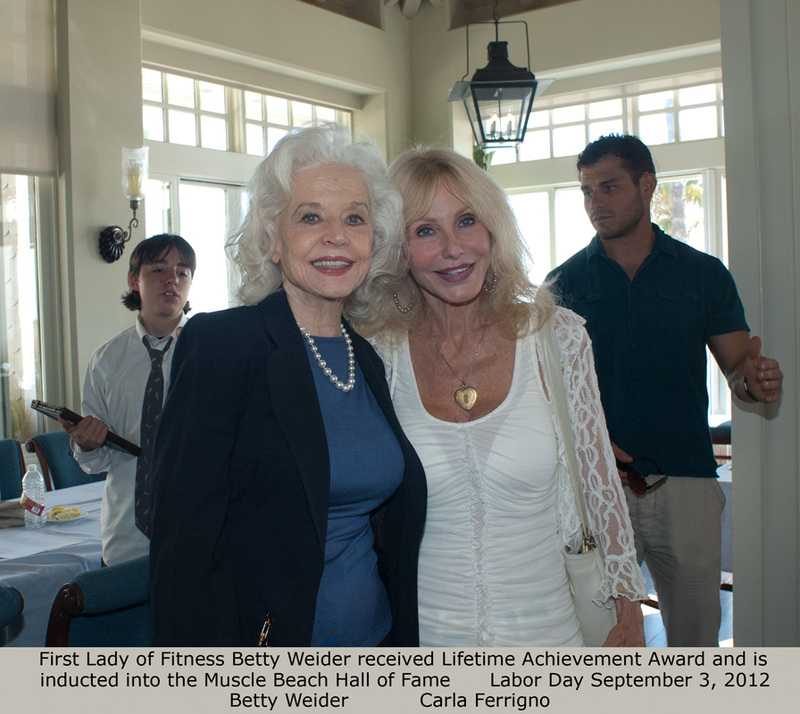 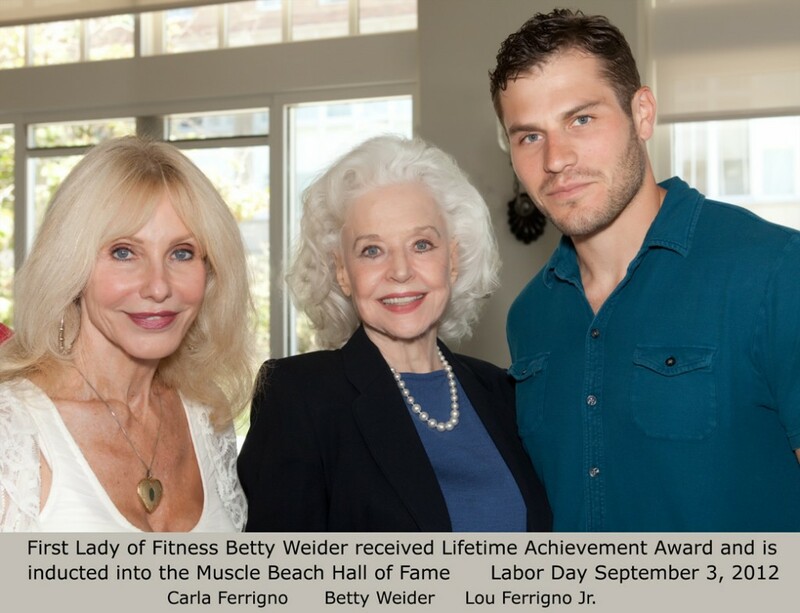 First Lady of Fitness Betty Weider received Lifetime Achievement Award and is inducted into the Muscle Beach Hall of Fame Labor Day September 3, 2012- Carla Ferrigno- Betty Weider- Lou Ferrigno Jr.